You have every air freshener imaginable in your car, but your car still smells like a dirty dishrag. In most cases, it’s something you can’t see and probably didn’t know was there. Most car owners, just like you, have never changed their cabin air filter because most folks don’t even know this filter exists. >> Your cabin air filter helps reduce contaminants in your air conditioning and heating system and keeps your air fresh. This drastically helps the performance of your vehicle’s air conditioning and heating system. Your vehicle’s air conditioning system works exactly like the one in your home. It relies on specific filters that prevent dirt, debris and dust from entering the cabin of your vehicle. The car’s cabin is your home on the road and the air should be clean and debris free for you and your passenger’s comfort. The air from the outside is drawn into the air conditioning ducts and it flows through the cabin filter. 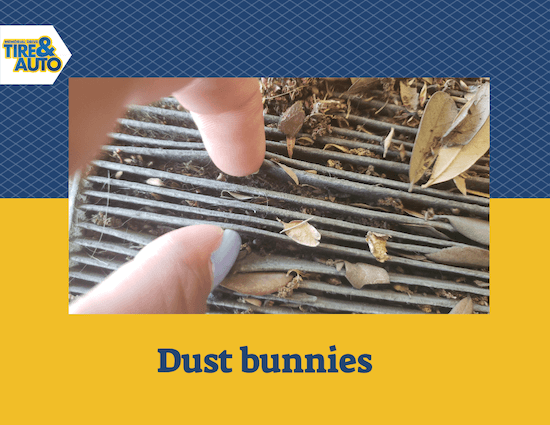 The filter traps any dirt, pollen, and dust before it gets into the air conditioning ductwork system and blows dirt and debris inside to you and your passengers. Your vehicle’s cabin filter allows good air to pass through into your cabin while trapping dirt and debris. 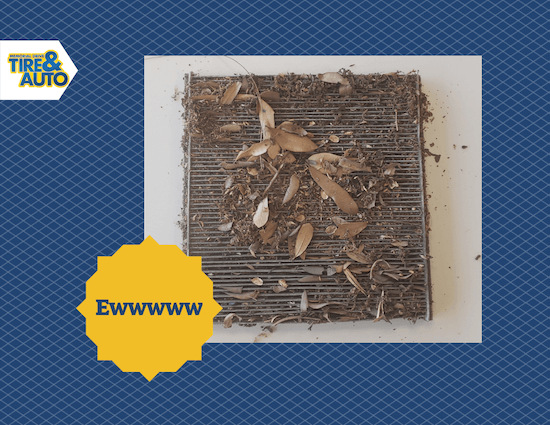 If the filter isn’t changed regularly, the filter becomes clogged and air flow is reduced drastically. A clogged filter causes your air conditioning system to work harder to produce clean air for your cabin. >> The more dirt and dust collected by your filter, the harder it is for the air to move freely and it can damage the blower motor resulting in expensive repairs. This is one of the main reasons your vehicle smells musty inside. Plus, a clogged filter will drastically decrease the amount of heated air in the winter and reduce the amount of cold air in the summer. Regular maintenance of your cabin air filter is essential in keeping the air quality at its best in your vehicle. 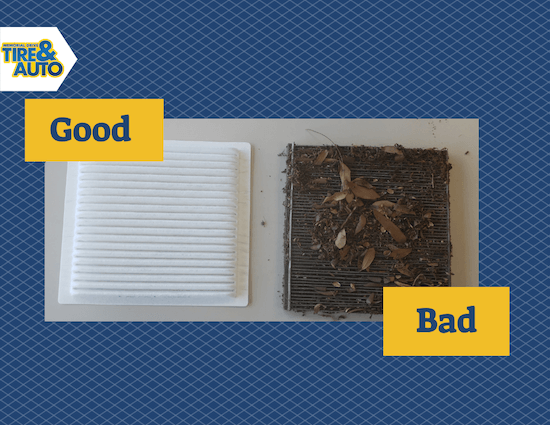 It is recommended that your cabin air filter is replaced every 15,000 miles. This simple and cost-effective changing of your cabin filter can add years of performance to your vehicle’s air conditioning and heating systems. >> The quality of your air coming into the cabin will be free from dust and dirt leaving your cabin smelling fresh and eliminating lingering odors in the interior. 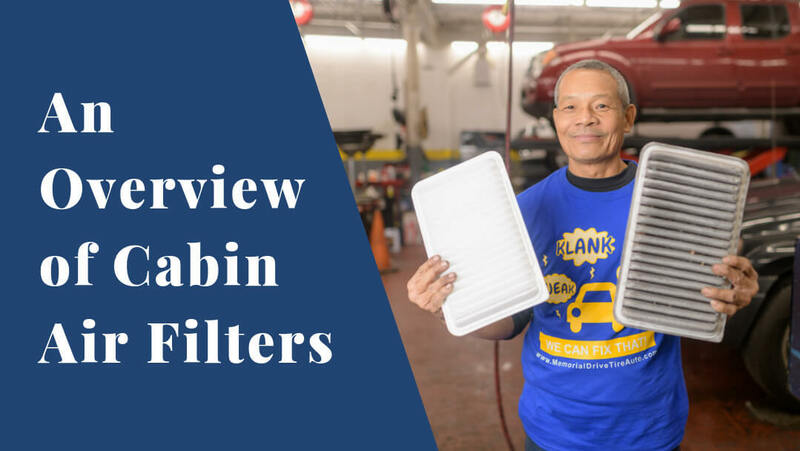 Contact Memorial Drive Tire & Auto for all your cabin air filter needs.